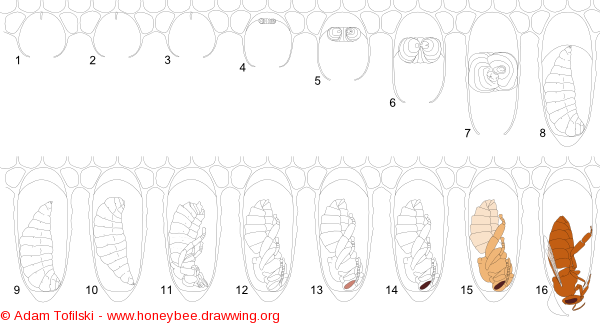 Development of honey bee queen. Numbers indicate day of development after egg laying. Small amount of pollen can be present in food of queens larvae .